The Lowe Utility-V 1468 delivers ultimate utility and top-notch value, featuring riveted construction backed by the renowned Lowe Lifetime Limited Warranty. 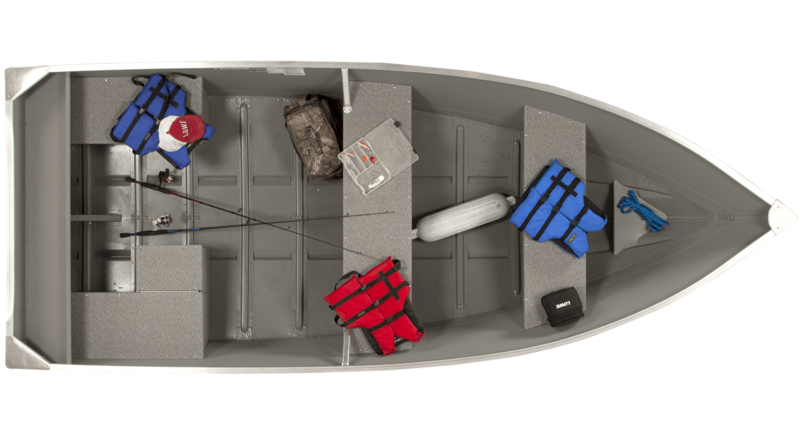 You can count on the 1468 to provide more usable space, better stability running and fishing, and a smooth, drier ride. Important features include a white painted exterior with a champagne painted interior, all-welded hull seams, a heavy-duty extruded center keel with 2 formed in bottom keels, stern corner castings with handles and bow casting with handle, 2 full bench seats and a split stern seat.